Continuing our campaign to have tax-dodging horses removed from our streets, we are appalled to see that there is now a police horse, here on Picton Street. It is waiting on the double yellows, yet the rider is not waving their hands up and down in a hand-signal version of flashing yellow lights. With the police on their side, they will soon demand their own lanes and parking in the city. Ban these horse people now! Bank holiday bumper (to bumper) quiz. Stuck in a 4x4 deadlock down a country lane in Cornwall and lacking the reversing skills to escape? Waiting at a train station for a train that has vanished from the timetable without a trace? Sitting in a lay-by with a derailleur that has decided to collapse into your rear spokes miles from shelter in the glorious English summer? Why not pass the time with the Bristol Traffic bank holiday quiz. Answers on a postcard to the usual address. 1. When is a school not a school? 3. How many glass covered bridges to guide you swiftly from the new car park if you arrive at Cabot Circus by car? 4. True or False. All you need for safe cyling is separate cycle paths. Cycle paths that are separated from motor traffic by a barrier are guaranteed to keep cyclists 100% safe from cars. Quiz brought to you by Newlyn Junior and Infants School, Penzance and St Phillip's Causeway, Bristol. This is Cotham Park Grove from the South, some cars making it a bit tight to enter and exit the junction. Here is the road during term time, some cars are quite clearly parked right over the corner. While this makes it tricky for parents with push chairs to pull out, it does at least ensure that on the road itself there are never two lanes of traffic at a time, a vehicle is either exiting or entering the system. The school-keep-clear zone provides a pull-over point, while the zebra zig zags are good for coaches. So what? People ask. Ahh, this is where the power struggle between those in the council traffic planning department, where those few engineers who are still fighting against the anti-car elected councillors, are managing to represent the interests of us car drivers against those parents who dare to walk to school. 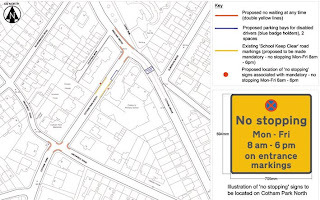 The corners will be double yellow lined to mean "no parking"
A bit of redland grove will have double yellow lines to mean "drop your kids off here"
Those last two points are the most interesting. A stretch of redland grove will be double yellow lined to say "no commuters, just parents". Which is handy, though of course if the railway line was less expensive to take an adult and a child up from Monty to Redland, perhaps less needed. 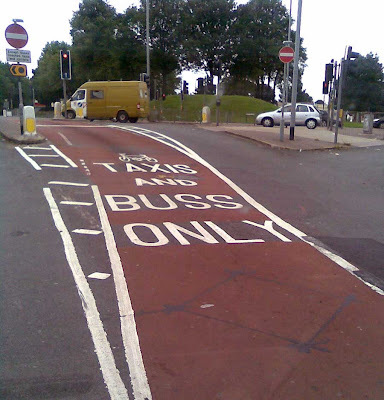 But the corners will also be double-yellowed, to discourage commuters and parents from using it. Here, from an attempt to provide a safe route to school, the plan fails. 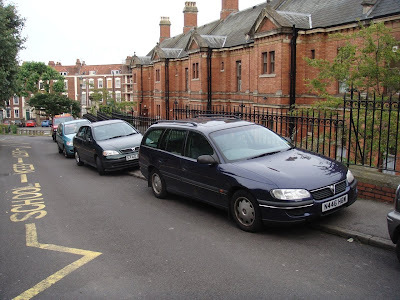 We have evidence from Clifton and Cotham that says "all double yellow lines do by schools is provide a guaranteed place for parents to park", while it doesn't encourage driving to school, it certainly doesn't discourage it. Any parent that turns up hoping to use the two car lengths of allocated space on Redland Grove is going to have a problem when they turn up and discover two other parents there. What are they going to do? That's right, they will use the other allocated spaces -the corners. These will have the same markings "yellow lines" on them, and so will be equally legitimate. Until those once-a-term days when Bristol Parking Services turn up, and you have to argue your case. If, by some miracle of consideration these corners aren't occupied by parents, and are in fact kept free, the parents who walk are left with a problem. whereas historically the road was narrowed by parked cars, making it one lane wide, is entrance will be two vehicles wide, making it harder to cross safely. This will discourage them from walking, so stop them getting in the way of tax-paying parents. We dropped a note to Cllr Neil Harrison, who is one of those safe-walk-to-school subversives we are keeping an eye on, to make sure he wasn't planning to surprise us. 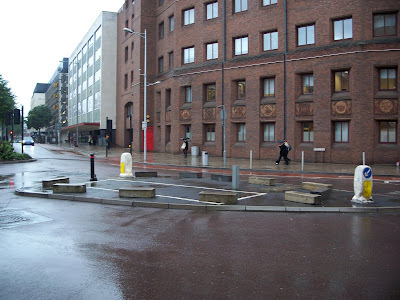 Did the engineers look at having some build-outs on the corner instead, with enough bollards to keep cars off them? 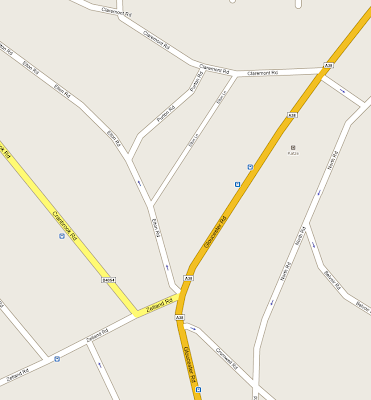 This would keep the road one vehicle wide at the junction, yet offer good visibillity to parents trying to get across. enforced, they are going to be a parents-only parking area. We did talk about this, but his view was that it would create dangerous traffic tailbacks around the corner. You see that? The traffic engineer is doing his best for us, the car drivers. If they had added any form of build out, the effect would have been exactly the same as if there were parked cars on the corner, which is what you see every single weekday. Buildouts would not create any more tailbacks than normal, yet they would take away two or more parking spaces away from us commuters and parents. We thank this anonymous engineer, and close the posting with a photo to show that we know he was making things up when he said that build-outs would create tailbacks, but that the councillors don't. Can we close by saying that given the parents are off school, we do have an opportunity to keep the plans as they are. Email alan.berridge at bristol.gov.uk on the subject of the consultation 09TM013/ACB/WH, to make your views known (cc: Neil.Harrison at bristol.gov.uk ). Remember, you have until September 8th, and some walking parents may discover the plans before then, so its important to push for parking spaces over build outs. Consultation done now at request of parents Travel Action Group, all of whom are walkers and cyclists. They want to try to get works done by start of year. They devised the planned works thenselves. Build outs now planned too. Some reason why single yellows not suitable - can't remember. Here on Stokes Croft one weekday morning, we see the L-plated car from "Drive" showing everyone how to park to get into the post office. Veer across the road -so avoiding a dangerous road crossing yourself, and then use the double yellow lines under the bike lane. We hope a student is picking up these valuable lessons, and it is not just the driver in WM09FJE doing some errands. Yes, they have parked so as to not interfere with passing vehicles on this one-way road. Yet poor R852UWO has somehow got a ticket? Why? Who is persecuting innocent drivers merely for choosing safe and convenient parking? When will this anti-car program of an anti-car council ever stop? A car in Upper Cheltenham Place, Montpelier, has a note on its windscreen. Its probably honest, pragmatic, and may produce enough guilt for the driver to consider following the request. But what it does not produce is fear, not for the driver of P583HAN. Kayaks? Bicycles? Baby Buggies? Nothing to fear from those. No, better to say something like "It is very hard to get my chainsaws and hunting rifles in and out of the house without damaging your car. This upsets my son, who, being on remand for attempted murder, does not need to get upset. Please park in a way which does not cause more problems ofr my household? This is profound. Up until this moment we hadn't understood why anyone in Paris would pay the premium for a 4x4, even as a status symbol to keep up with your peers, when by doing so you sacrificed the ability to park in a busy city. However this video shows that yes, the vehicle size may make mini parking spaces unusable, but the higher ground clearance of the machines makes it easier to get your car over the raised separation between road and bike lane, and so park in bike lanes -that are unreachable by "legacy" cars. It opens up more parking than ever before. Having a status vehicle that saves you 30 minutes of snow-chain work on your annual ski trip is an added bonus. Similarly: SmartCars. By producing a car so small, so nimble, it has managed to get cars into those places that were forever forbidden to cars. By investing in small urban vehicles, Mercedes have freed our European cities' pavements from the tyranny of pedestrians! Bristol Cycing Chic? Enemy of the economy more like! While touring with the WoEP to explore the options for BRT through St Werburgh's, we come across this woman in a lovely summer dress, pushing her bike up the hill, her arms full of flowers. It looks charming, doesn't it? Don't be fooled. Not only is she out and about without hi-viz clothing and a helmet, or even waterproofs, she is singlehandedly undermining our nation's economic recovery. We pulled her over to offer her one of our emergency hi-viz tops, for a nominal fee. Not only did she turn us down, she went on to explain that these plants were flowers she sold, and that they are running a flower business -Bella and Fifi Flowers. These flowers are being organically grown in a St Werburgh's allotment, then picked up by hand and resold in the area, from their little flower van. This is a van that is over ten years old, yet these people are doing nothing to help car salesmen in need by buying something newer. They are selling flowers, yet are doing nothing to help the long-haul freight industry by sourcing them from abroad or elsewhere in the country. They may think that they are being green, and environmentally friendly, but in reality they are the people holding back this country's economic recovery. People like this, who are trying to make-do and go-local instead of getting into even more debt supporting the great-motor-economy, are the source of Britain's financial problems. This fine morning there is a van at the top of nine-tree-hill, as close as you can get to Fremantle Square without attempting to drive through the gap. It is positioned to prevent any bicycles getting through the gap. The reason? Virgin Media working on one of the houses in remantle Square. The van RA54EVR is parked as close as you can get to this house without turning round, driving onto stokes croft by way of Jamaica Street, wait at four traffic lights and then go up Cotham Brow. That's a big detour, and even once they'd done that, there would be no parking in the square, other than blocking the bike lane from the other side. Some subversives may argue that the van could have parked a bit further back, but why? Bicycle access is not the van driver's problem. If you can't handle the small problem of a vehicle in the way, you shouldn't be out and about on a bicycle. This car YM51MKA has found an innovative solution to the problem of there being no free pavement to park alongside, here in Ambra Vale, Clifton Wood. It has chosen to park up behind the other cars, and so rely on nobody noticing that to its left, instead of some paving stones and a wall, there is a large gap then a driveway heading up to some garages. Sadly, if this area does become a controlled parking zone, then this is exactly the kind of semi-official parking space that not even residents will be able to use. And if all these "corner-case" parking areas disappear, that is a lot of the parking capacity of the city is going to be lost. Forever. Fight for your right to park in the middle of the road! Join the campaign to keep the streets free! 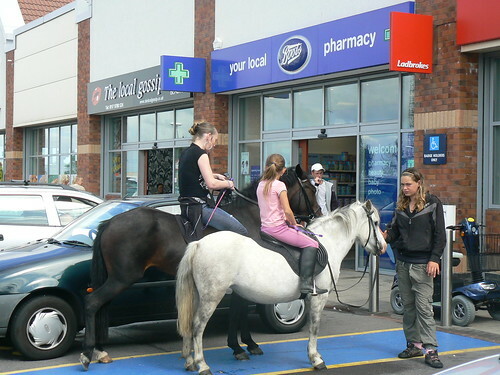 That well-known subversive, the Bristol Blogger, sends us a photo of some people nipping out to the shops on horseback. This is an even more dangerous and antisocial form of dodging road and petrol tax than cycling. Dangerous: no helmets or hi-viz wear, and when you run into them they do more damage to your car. Antisocial, because they leave more mess on the road, which makes washing your car down on a Sunday morning nastier than usual. And they say our cars are polluting! The worst part is the way these tax-dodgers act like they own the roads. Here they are, taking up enough space for a car, once that's over they will pootle down the road, slowing down important people and getting upset if you sound your horns at them. They don't realise, roads were built for cars, not pedestrians, bicycles or horses! Being a posh part of town no-one would think of parking on the school zig-zags. Not even on a Saturday out of term time. Which is why they joyously prefer to use the pavement. Like R902FTN. After all, only the poor walk, and we know there aren't many of those in Clifton. Oh, the poor and (some) students. 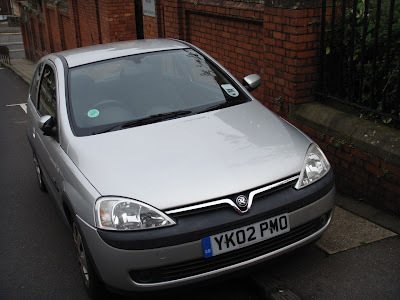 YK02PMO is definitely not a student: that's a UWE staff parking permit in the windscreen. And it's the holidays. Have you ever sent that email or post and only afterwards realised that there's a spelling mistake you missed?. Well, don't feel embarrassed. The font can only be about 36 points high in Outlook Express anyway. Unlike the three foot spelling mistake above. I think I should call Mulder & Scully in on this little entry to the X-Files: invisible motorbikes on the Railway Path. As you can see from the picture, these 4-inch wide tracks appeared from nowhere, their makers invisible to the eye, like that creature from the Id scene in Forbidden Planet (fab movie, get the DVD). 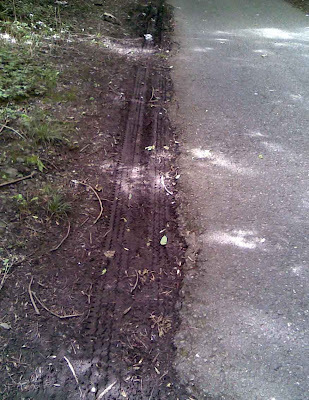 My own theory is that it couldn't possibly be numpties racing mini-motorbikes along the path, but actually a 15 foot tall mountain biker with stupidly wide tires. A ticket? On a sunday? This pic of a range rover Y1GRT being persecuted by parking services for parking slightly on a pavement and double yellow line hits our inbox. It was taken on a sunday. This shocked us -if Bristol Parking Services are going to work on Sundays, next they will be out after 5pm on a weekday. But a closer check of the photo revealed there was nothing to fear. This picture is from Bath! Evening on the 'croft. now the line of deck chairs is full of a different shift of traffic engineers, all sporting their Bristol Traffic approved Hi-Viz tops, enjoying the evening sun with a faint hint of FirstBus diesel. When asked "how did they get their cars onto the pavement without driving the wrong way down a one way road", they said "We have dispensation". 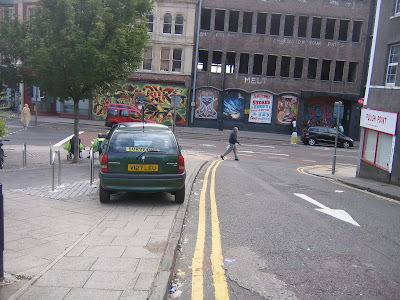 Clearly doing a traffic survey not only allows you to park on pavements -seen that before- but drive a car down a one way street, all for the sake of the experiment. This must be a very powerful dispensation. What could be so powerful as to give the cars HD02OVG and X636FWP the ability to drive and park where they like? For that is a power that everyone in Bristol would love to have. Only one thing has that power: Hi-Viz tops. Admit it -if they weren't in the shiny yellow, they wouldn't be people in positions of authority, they wouldn't have respect from the population. This is why everyone should embrace the yellow tops -they are the first step to achieving power and influence in this city. Lots of new visitors coming to our site are not using the usual keywords "high viz fetish", but now "banksy parking". Lots of other people are either concerned that this criminal is stealing our parking spaces (now no parking allowed there, 24-hours a day), or looking for somewhere to park. We welcome the new visitors, even the one who denounced our concerns about the loss of parking spaces as petty selfishness. Selfish, maybe, but petty, no! "It's something that is really popular that does no-one any harm. Let celebrate this rather than complaining about a perceived traffic inconvenience." Well, zulu1001, it is not just the loss of a few parking spaces that matters, it is the fact that all these visitors to the city are taking up our commuter parking spaces in/near Woodland Road and Tyndall's Park avenue, the last free parking area nearby, just when the students had all left for the summer. Because you need to be in that queue before 08:30 to be sure that you will get in the first 450, and not have to wait at least an hour for the first group to finish, so called "art lovers" who have driven over will be there grabbing the spaces before we regular commuters can get them. For all those people coming to this site looking for the best place to park for the exhibition, can we therefore point you all at Montpelier? Come off the M32 before you reach the end of the road, go into Montpelier and park on an empty bit of pavement. It will get easier throughout the day. Then walk all the way to the show via Stoke's Croft, Jamaica Street, Dighton Street and Park Row, past all the other free graffiti the city has to offer. Having been inside the show, can we note that it is not very authentic. This "landscape near Hartcliffe" painting, for example, does not recognise the off-road skills of the locals, who can get a stolen car way further up a muddy track before having to torch it. That painting is more a Clifton-down class of off-road parking, which may give a new clue as to the graffiti-criminal's origin. Finally, can we close by reminding the locals not to mention the fact that Boston Tea Party at the top of Park Street does the best coffee, cakes and meals of all the cafes in this area, because if word does get out its lovely garden at the back will fill up. Point the turists at Cafe Nero and Starbucks, it is all they expect and deserve. A week after someone ends up under a lorry here, a day after coverage on the local BBC news, and we have the council survey team out in force on Stokes Croft. There they are on the deck chairs behind the (shiny new) bike racks, just past the car up on the pavement by the double yellow lines. One of the big problems in any scientific measuring experiments are the effect of the observers on the behaviour of the system. In particle physics, the Heisenberg Problem surfaces -measuring something's mass slows it down; measuring something's velocity stops you weighing it. With humans, it is often the Hawthorn Effect: the act of being monitored changes people's behaviour. Either way: the observers get in the way. For this survey, the risk is that the survey cars will impinge on the flow of traffic, so altering the number, placement and velocity of the vehicles. The survey team have anticipated this, and yet still managed to park their survey cars as close as they can to their deck chairs, by driving both their vehicles V127LEU and GK57YZS the wrong way down the Nine Tree Hill one-way section. They have not approached Stokes Croft at all, not even before the experiment began. 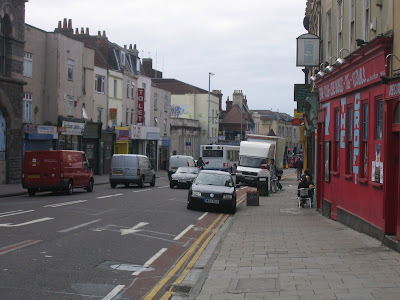 This leaves road unmodified; the bike lanes in Stokes Croft in their "raw" state, unobstructed by any more vehicles than normal. 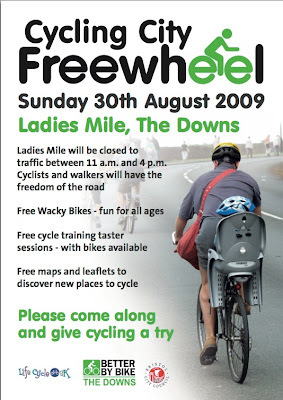 Tax-dodging cyclists reading this blog may wish to save and print out a copy of the survey team and vehicles contraflowing the road and nipping up on the pavement. That way, when they are stopped by the police for illegally mimicing the same operation, they can declare that they are part of the Bristol Traffic survey team, and merely following the same scientific rigour when approaching the Stoke's Croft junction: to observe without interfering. The war on cars continues! 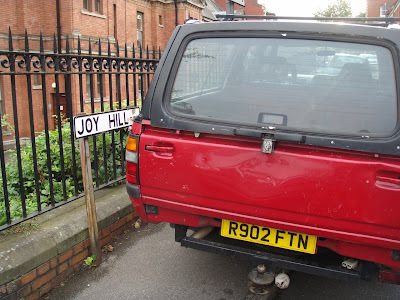 We'd seen signs of this last week, and now more proof comes in -this time from contributor "IW" that the council is continuing the same anti-car madness of its predecessors. Yes, In the centre of the city, the traffic island that provided the best free parking in the centre, with its car park area all safely marked out, is now blocked off. Hopefully it is just temporary, a left over from some harbour event or something, or put in while BT need access to their manhole. If it does not, then we will have to write a stern letter to the Evening Post, complaining about this anti-car madness. On our way back from Primark, we note mild chaos at Marlborough St. Bus station. A taxi wants to pull up to the taxi-only dropoff zone but can't; a car waiting for arriving passengers is there. Other vehicles are going up to the "short stay" pavement and not blocking through traffic. The taxi has no option but stop in the road to unload, causing some tension in the vehicles behind. But all of them are just trying to do the same thing: park here to pick up or drop off passengers. There is an option for parking round the corner, by the new magistrates court, but for some reason (security?) a perfectly wide pavement is bollarded off. There's still some space opposite; only one vehicle is using this. It is worth remembering about though, if every you need to pick people up from the bus station in a car. Readers might be surprised to discover that this site is in favour of build outs. Don't they reduce the amount of parking? they may ask. No, they don't. They just stop the little people from using it. Build-outs tend to be for the exclusive use of residents, delivery vehicles and people working in the houses. This means that they provide a small amount of resident parking spaces without any of the overhead of creating resident parking areas. No need to sticker up cars, paint over roads, enforce pavement or road parking rules. Just leave the build-outs for vans such as Refresh Painting and Decorating and their van KM53RVY. Problem solved! OK, I take it all back. Not because you'll be nailed in a head-on collision with a car doing 30mph, whilst cycling towards it, giving a maximum impact speed approaching 50mph, which is deadly, and probably why our traffic planners don't like the idea. No, it's because you're likely to be broadsided by a car doing slightly less hitting you from the side, and knocking you into the on-coming traffic. Whilst most contra-flows suggested by Bristol's cycling fraternity are ignored by Bristol City Council, even though they are completely sensible, easy to implement and obviously obvious, there are some already in place... probably to prove that they shouldn't exist. Take the one in Elton Road. It helps cyclists access Gloucester Road from the north-west whilst preventing cars from doing the same. (Let's not dwell on the appalling quality of the public realm in such a vibrant area of Bristol which is now entirely dominated by a 'traffic intersection' of the lowest quality, where pedestrians are given the lowest priority and longest waiting times). No, really. Let's not dwell on that appalling junction. Or whoever conceived it. They have probably retired anyway. Or moved on. Or been sent to Coventry. Anyway, back to Elton Road. Or more specifically, the interface of the Elton Road cycle contra-flow with Elton Lane. You're trying to get to the Prince of Wales on two wheels. Or Maplins if you're out of CD-RWs. Or the Bread Store for a City Loaf and some doughnuts. So you peddle down Elton Road, using the cycle lane contra-flow. It's rush-hour, so there are lots of cars coming towards you (fine so far). But it's rush-hour. So there will always be someone in a BMW looking for a way to jump the queue. But they are only looking one way as they approach the bottom of Elton Lane... at speed, trying to turn right. But they don't look right (they're entering a one-way street and the 'cars' are coming from their left). So they don't look right. At all. Ever. Despite the signs. Because they're going too fast. And they are in a car. Which is safe. Well, I've got good brakes, and luckily my children were behind me. 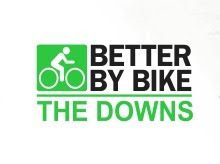 A press release from the cycling campaign reaches our inbox. The Bristol Cycling Campaign wishes to extend its deepest sympathies to the family and friends of the cyclist who died following a collision with a lorry on Winterstoke Road on Tuesday August 11. This tragedy is part of a series of bicycle/lorry collisions in the city over the past week. 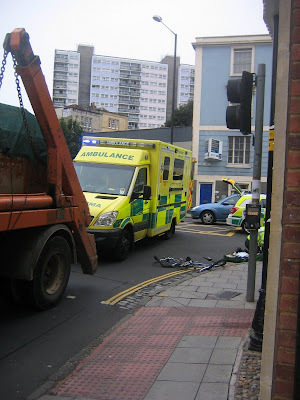 Thursday August 6th, A collision at the junction of Perry Road and St Michael's Hill, left the cyclist in a serious condition in the Bristol Royal Infirmary. Tuesday August 11th The junction of Winterstoke Road and Brunel Way. The cyclist, struck by a Mercedes Sprinter van, died. Tuesday August 11th Old Market. A DAF lorry cab turning left collided with a bicycle outside the Evening Post. Again, serious injury -this time pelvic, leg and head injuries, and again, another customer for the Bristol Royal Infirmary. 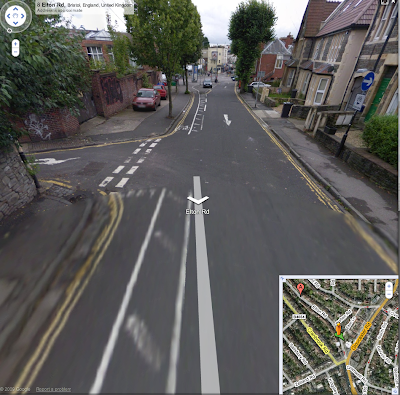 Wednesday August 12th Stokes Croft/Ashley Road - a female cyclist left with a suspected broken leg. This week of tragedy comes exactly three months after two teenage children were killed walking in the city by hit and run drivers in separate incidents. 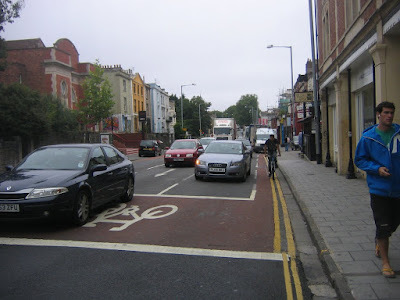 The Bristol Cycling Campaign calls for Bristol Council to come up with a design for the city's roads that ensures that pedestrians and cyclists can get to their home, work or school without having to travel in fear for their lives. 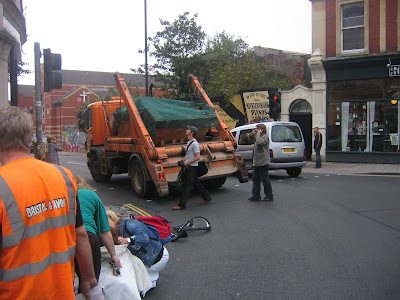 It is impossible for Bristol Council's targets of doubling cycling to be achieved without increasing the numbers of collisions, unless there is a step change in the way that all of us in the city treat the most vulnerable road users. Bristol must follow Portsmouth's lead of slowing down the speed limits on the approaches to the city, to stop drivers coming straight off 70mph roads and into the narrow streets of the city - and to stop them speeding up as they get closer to the motorway. Roads, and especially junctions, need to be designed to reduce the risk of collisions. 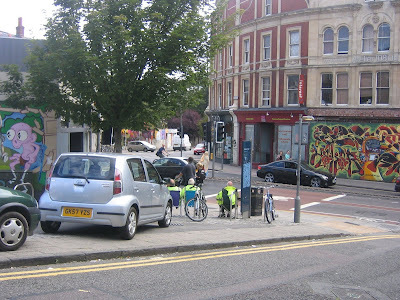 As a specific example, the Stokes Croft/Ashley Road collision involved a bike lane which is on the left side of a left-turn only lane. The collision here is not "an accident", it is the inevitable consequence of the design of the road. 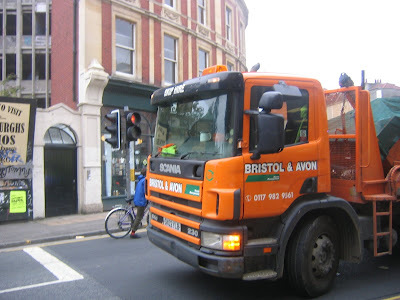 As lorries appear to be disproportionately involved in the recent incidents, Bristol Council needs a plan to make their movements less hazardous to other road users. In London, for example, Transport for London is running a special cycle/lorry share-the-road training and publicity campaign. Everyone needs to be encouraged to attend the Council-supported cycle training courses. As well as teaching cyclists how to cope with dangerous road designs, they will give drivers better understanding of the dangers that cyclists face. Martin McDonnell, secretary of the Bristol Cycling Campaign said: "With rising obesity levels, congestion and road pollution, encouraging cycling is more important than ever. We call on the Council to fulfil the Cycling City vision by making the city safe to cycle around." We wish a speedy and full recovery to all the Bristolians who are currently in hospital because they chose to cycle around a cycling city. We also wish to express our appreciation to the emergency services, who have responded excellently in all these incidents. One of our many reporters was on Stokes Croft to catch the aftermath of this weeks's second bike/lorry incident, this one with a skip lorry turning left over a bike (which may have been going straight on). I was heading out on stokes croft, had turned right and was in picton street when the incident happened, so didnt see it. I did see that the vehicle in the front of the left turn lane was the orange truck involved. I think there may have been a bike in the ASL, but my memory is vague as I do that route too often. If I am correct, that bike was somebody else anyway. The lorry was turning left from cheltenham road and the arches, but as it wasn't moving I could catch the green light first and turn into ashley road, then left into picton street, where I was busy feeling smug that I had cleared the junction so easily today. Suddenly there is really load screaming, that doesn't stop. Everyone nearby starts rushing up, saying whats happened?, looking around. There's a woman on the floor screaming, not much blood. A PCSO runs up and starts to look after her, and calls for support. The nearby shop brings out a blanket and everyone comfort the cyclist until the paramedics and then the ambulance turn up. I'm not giving you any photos of her -the lorry driver is the man in orange to the left of the photo. There we have it then, three bike/lorry collisions in a week -one on Park Row, one outside the Evening Post, this one. We all hope that everyone involved recovers rapidly. It's too early to assign blame here; the reality is that in any bike/lorry collision, its the person on the bike who loses. What is obvious, when you look back at the route they were using is that the bike lane leads people on bikes into exactly the wrong place -inside vehicles on the left turn lane. We've been here before, praising vehicles for blocking it out of safety concerns, and here you have evidence that it really is something to avoid. This is a pretty hazardous junction all round, its where the same reporter had their A&M Motor Road Rage incident, heading the other way.